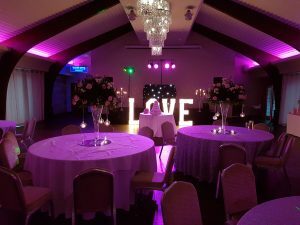 We just wanted to take this opportunity to thank you for yours and Jason’s role at our wedding, at Colshaw Hall on Sunday. You really helped to make our day run perfectly, and with this, not only do I speak for myself and Matt, but from our guests too. 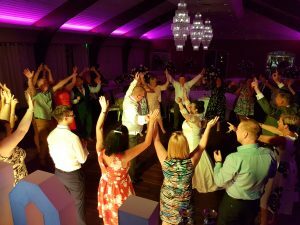 The feedback and comments that we received for both your DJ skills, and Jason’s amazing magic tricks, from our guests have been incredible. It really appears to have made a lasting impression on our friends and family, and this means the world to us. On a personal note, we already had such high expectations of you both, having already seen you at another friend’s wedding; however, you both exceeded all expectation on Sunday. It really was our perfect day. 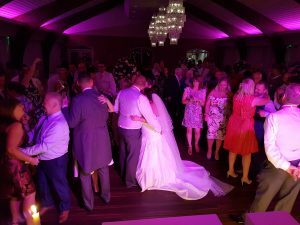 A pleasure to be involved in the wedding party of Mr & Mrs Grundy at Colshaw Hall located in the Cheshire countryside Over Peover. 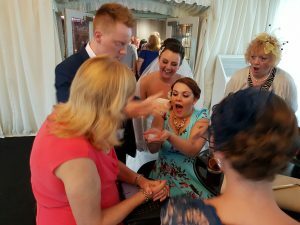 They had hired our popular wedding DJ Andy B for the evening reception plus our most excellent close up magician Jason to entertain throughout drinks & the early evening. Still going strong for the finale! Congratulations Mr & Mrs Grundy! 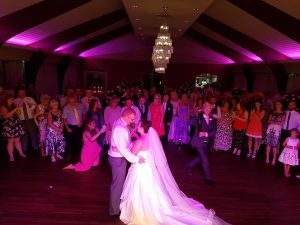 As well as your wedding DJ, we can provide several entertainment related services & products, please ask for details as we may be able to put a package deal together for you.